As we all know SSC exams and Bank exams are soon going to be held starting from 2018. We hope you all are preparing well for all the upcoming exams. One should keep track of current affairs updates regularly that we provide in our site. 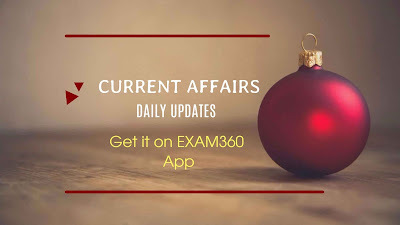 Today we have brought to you the current affairs and gk updates of 27 December 2017. Please go through the headlines and also the bullet points. We provide you with the best headlines which has the highest probability of being asked in such exams. Along with Mr. Rupani and Mr. Nitin Patel, a total of 19 Ministers — nine of them in the Cabinet rank and 10 Ministers of State (MoS)— were sworn in. The latest Grant Thornton report said optimism levels among Asia Pacific business leaders hit a two-year high, largely driven by China and Japan. But India was at its lowest in four years. Asia Pacific business optimism has hit a two-year high, largely driven by improvements from its two biggest economies, China and Japan, and region-wide positivity on prospects for increased trade. However, not all trajectories are heading upwards, the report titled ‘Asia Pacific: trading and thriving’ showed, adding that India’s optimism mostly remained positive at 75%, but “has dropped to its lowest level in four years”. In the previous AY 2014-15, 1.91 crore, out of 3.65 crore who filed returns, had paid income tax. But the total income tax paid by individuals declined to Rs. 1.88 lakh crore in AY 2015-16 from Rs. 1.91 lakh crore in AY 2014-15. The festival will be held in phases in different hill towns across the two districts of Darjeeling and Kalimpong. It will be held from December 27 to 29 in Darjeeling; December 28 and 29 in Kurseong; December 29 and 30 in Kalimpong; and December 30 and 31 in Mirik. Hydropower generation company NHPC Ltd has proposed to set up a solar project in Odisha with capacity in the range of 100-200 Mw. The hydropower generator has expressed its willingness to set up the project under the 1,000 Mw solar power park scheme coming up in the state. About 2,000 km of highways will be constructed to link major highways corridors to international trade points,” the Road Transport and Highways Minister told PTI. He said this will be to facilitate trade with Nepal, Bhutan, Bangladesh and Myanmar. The project is part of the Bharatmala Pariyojana, he added. Other relevant data with regard to household deprivations as per Socio Economic Census, physical infrastructure as per the Census 2011 and the updated status of other selected villages are also available in the public domain. This facilitates identification of gaps in a quest for Poverty Free Gram Panchayats. Dr Jitendra Singh launches electronic-Human Resource Management System (e-HRMS) on Good Governance Day . He launched it during the observance of Good Governance Day by the Ministry of Personnel, Public Grievances and Pensions. The Minister launched the 25 applications of 5 modules of the system. The e-service book launched for DoPT during March this year will also be integrated into the e-HRMS. Uttar Pradesh has launched a free household power connection scheme for the poor in the state to mark former prime minister Atal Bihari Vajpayee's birth anniversary. According to Sharma, the scheme, which would cover 10 lakh farmers by 2022, wold lead to 35 per cent saving on power consumption. BPL card holders, those without a roof or having less than Rs 35,000 as income a year are eligible. They can get get connection by paying Rs 550 only as against the earlier Rs 10,000. The Central Board of Secondary Education (CBSE) is set to start a value education programme called "Awakened Citizen Programme" which have been prepared for both students and teachers. It is a three-year graded "Values Education Programme" for the students of Classes VI, VII and VIII. The board has kept the programme optional for the students and the schools desirous to opt for the programme can visit the website www.theawakenedcitizen.org for more details. Global Affairs Singapore's Deputy Prime Minister Teo Chee Hean will join India's External Affairs Minister Sushma Swaraj for a two-day ASEAN-India Pravasi Bharatiya Divas to be held in Singapore one month from now. Road Transport and Highways Minister Nitin Gadkari and boss priests of Andhra Pradesh and Assam, N Chandrababu Naidu and Sarbananda Sonowal, will likewise go to the capacity on 6-7 January 2018. The Pravasi Bharatiya Divas (PBD) is praised each year to stamp the commitment of abroad Indian people group in the advancement of India. The Vice President of India, Shri M. Venkaiah Naidu addressing a gathering after inaugurating centenary celebrations of Yoga Institute, in Mumbai today said that a combination of Work, Knowledge and Devotion yield extraordinary results. Indian presence will be really big this time with over 100 CEOs including Mukesh Ambani, Chanda Kochhar and Uday Kotak, as also Bollywood superstar Shahrukh Khan and top filmmaker Karan Johar expected to participate. Double Olympic medallist Sushil Kumar was picked for a whopping Rs 55 lakh by the Delhi Sultans during the Pro Wrestling League auctions in New Delhi on 23 December. Actress Heather Menzies-Urich, best known for portraying Louisa von Trapp in the 1965 film The Sound of Music, died Sunday night. As the L.A. Times recalls, "Menzies-Urich played Louisa von Trapp, the third-oldest of the seven von Trapp children, in the film adaptation of the Rodgers and Hammerstein musical that starred Julie Andrews and Christopher Plummer." Veteran Bengali film actor Partha Mukhopadhyay died at a private hospital in Kolkata on Monday, family sources said. He was 70.